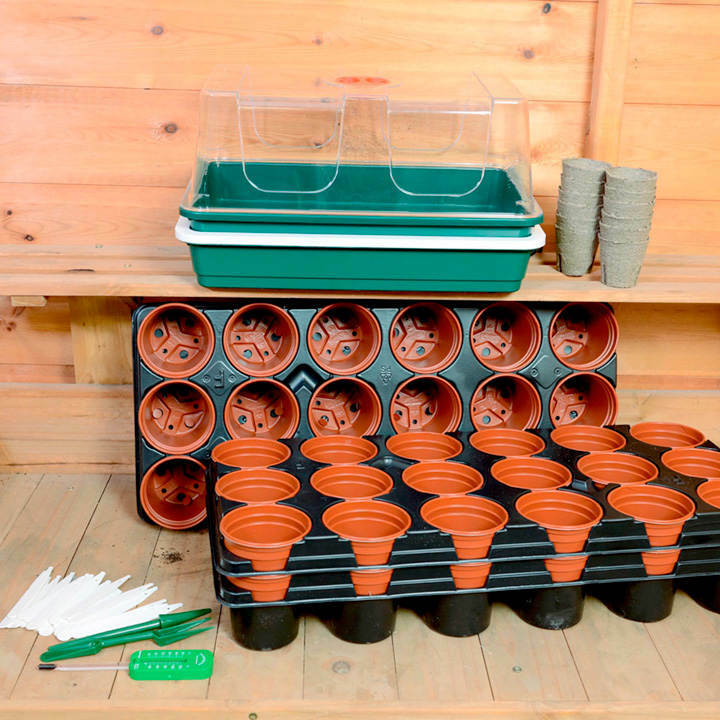 All your propagating needs in one kit. Comprises: One Top Electric Propagator (lead length 132cm/52" when plug in), 3 medium growing on trays (54 x 8cm pots), 30 white labels, propagator thermometer, plastic widger, peat pots and dibber. Size: 38.5cm (15") long x 24cm (9.5") wide x 20cm (8") high.